Today’s project is all about upcycling. Finding stuff you have lying around and turning it into something amazing. 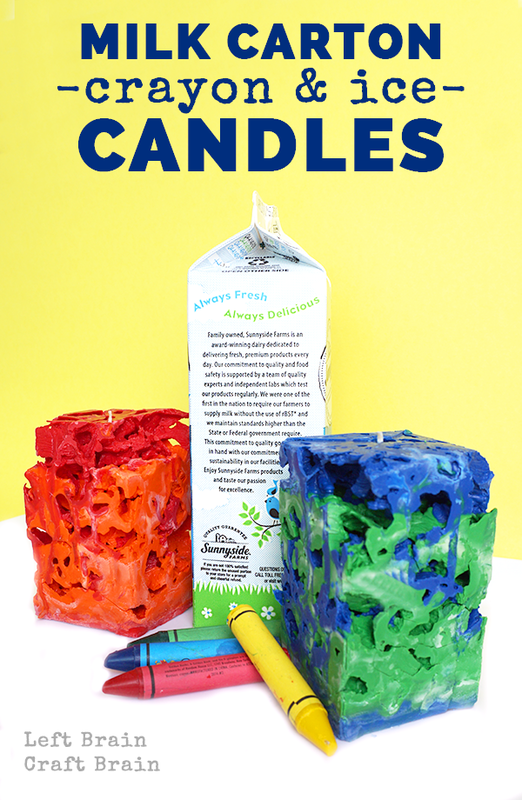 So dig up some old, yucky crayons and save your milk cartons because we’re making Milk Carton Crayon Ice Candles. This post contains affiliate links. This is my first time making ice candles. As the wax hardens around the ice, it leaves behind a very cool lattice-like structure. The candles are fragile, but definitely worth the careful handling. SAFETY NOTE: The wax gets very hot when melted and can burn. This step should be handled by adults or older children under close adult supervision. Prepare crayons: Find ~6 crayons in the desired color and peel by slicing the wrapper with a sharp knife and removing the wrapper. Break up crayons into small pieces and place in a paper cup. Repeat with second color. 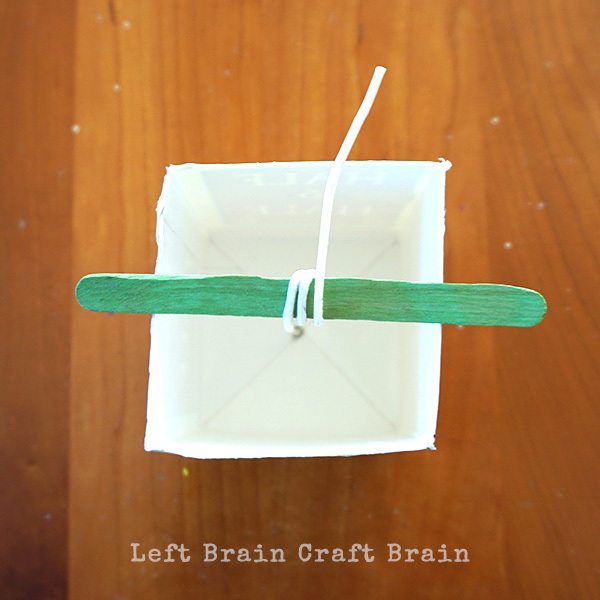 Melt wax: Add 1 cup soy wax to the paper cup and put in the microwave. Heat on high for 30 seconds and stir. 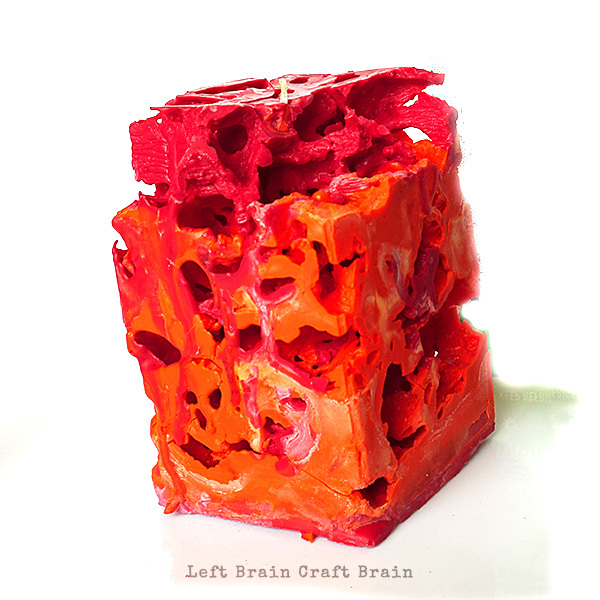 Repeat the 30 second heat/stir cycles until the wax and crayons are completely melted. Repeat with second color. 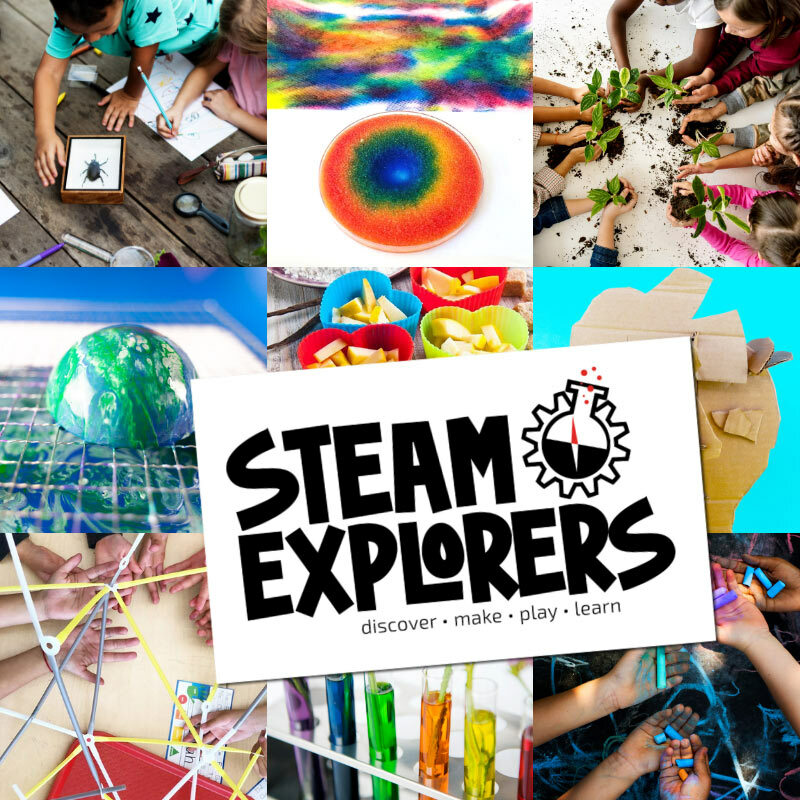 Popsicle sticks or plastic spoons make great stirrers… Don’t want to buy soy wax? You can upcycle some old candles, too. Open up the carton completely and rinse until the water runs clear. You really don’t want any milk residue in the bottom. Poke a small hole (just big enough to get the wick through) in the center bottom of the carton and the center of the foam sticker. Feed wick first through the sticker and then from the bottom up into the carton. The sticker and the metal washer will be on the outside of the carton. Pull the wick up until the sticker is flush with the carton. 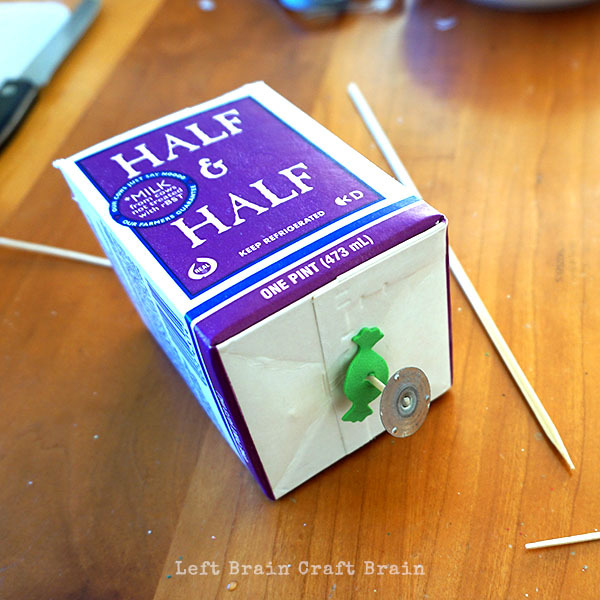 Take popsicle stick and rest it across the top of the carton. Wrap wick around it until taught and centered in the carton. Prepare ice: Crush enough ice to fill carton. Pieces should be no larger than 3/4″ in diameter. Fill carton to the fold line in the carton that’s about 2/3 of the way up from the bottom. Fill carton with wax: Pour your first color over the ice until about half of the ice is covered. Add the second color until the ice is almost covered. Top off ice with the first color. This gave the candle a swirled effect with two colors of similar tones, like red and orange. If you use one dark and one light color like green and yellow, you might want to skip the topping off with the first color. Remove the candle from the carton: Let the candle set for at least an hour to ensure the wax has set. Then pour as much water out as you can, making sure to catch any wax pieces before they go down the drain. Turn candle over and cut off metal washer from the wick. Then carefully (!) peel of the carton and and remove the candle. If pieces crack off during the removal, you can attach them to the candle by holding a flame up to it briefly. Let candle dry: Let candle dry overnight before burning (the wick needs to dry). I was inspired to create with milk cartons by a really cool series called the 60 Day Junk Play Challenge. It’s hosted by Best Toys 4 Toddlers who was inspired to find toys for her kids everywhere but the toy store. Click on over for ideas to make the most of your recycling bin!